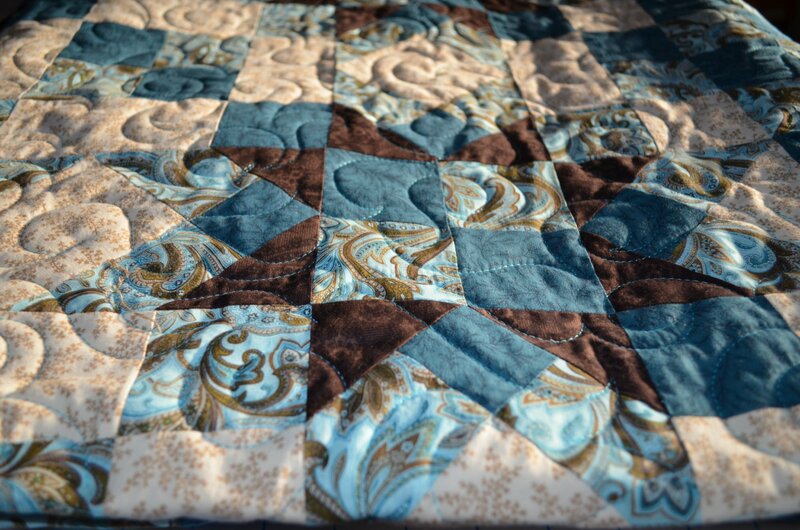 Blue Green & Brown Machine Pieced and Quilted 67" X 80" Quilt. 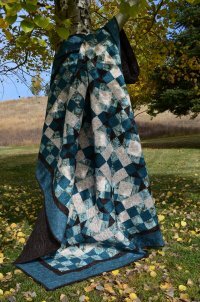 Price $350.00. 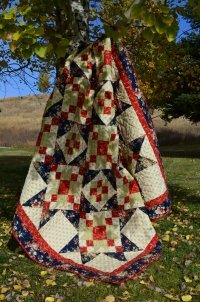 To inquire about purchasing quilt please contact at: wendy@sewuniquecustomquilting.com or 406-859-7858/406-491-3308. 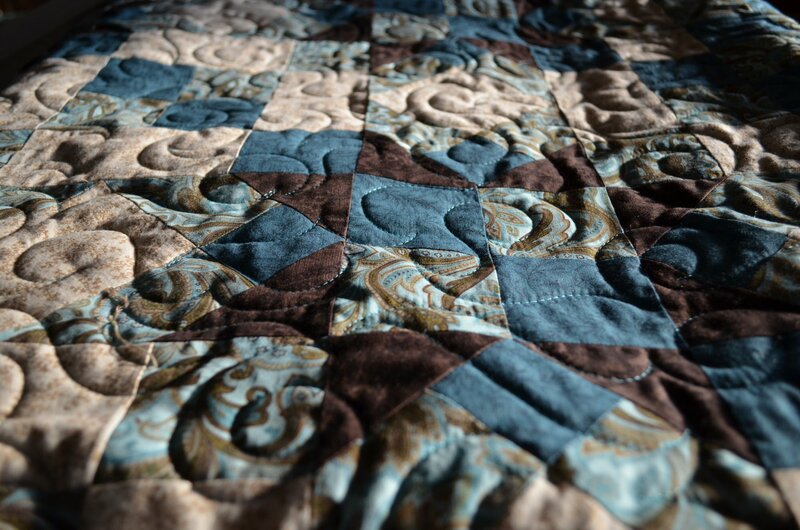 Aqua Tan and Cream Machine Pieced and Quilted 67" X 80" quilt. 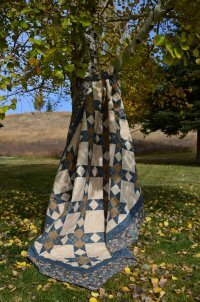 Price: $350.00 To inquire about purchasing quilt please contact at: wendy@sewuniquecustomquilting.com or 406-859-7858 /406-491-3308. 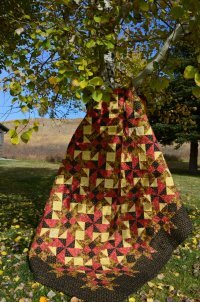 Radiant Fall Colors quilt Machine Pieced & Quilted 75" X 91". 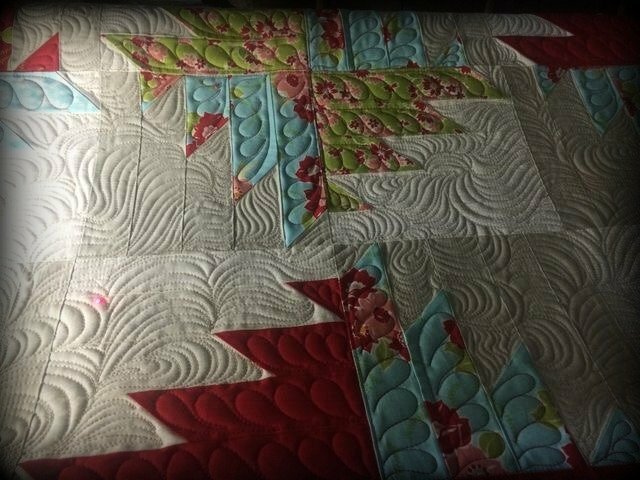 Price: $450.00 To inquire about purchasing quilt please contact at: wendy@sewuniquecustomquilting.com or 406-859-7858/406-491-3308. 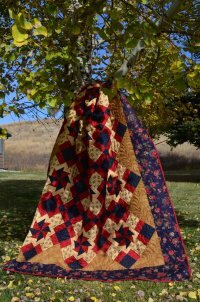 Sweet Memories Red, Blue & Tan Machine pieced and Quilted 70" X 85" quilt. 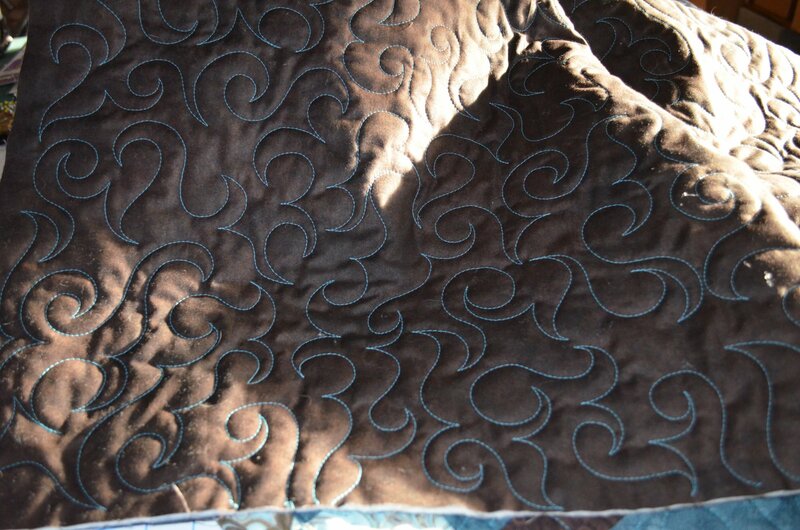 Price: $400.00 To inquire about purchasing please contact at: wendy@sewuniquecustomquilting.com or 406-859-7858/406-491-3308. 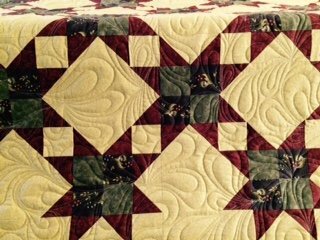 Mauve, Olive Rose Border Machine Pieced & Quilted 70" X 90" Quilt. 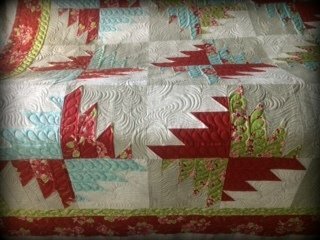 Price: $375.00 To inquire about purchasing quilt please contact at: wendy@sewuniquecustomquilting.com or 406-859-7858 /406-491-3308. 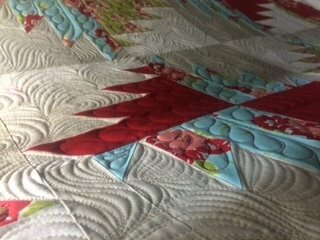 Mauve, Olive and Cream Twisting Star Machine Pieced & quilted 68" X 80" Quilt. 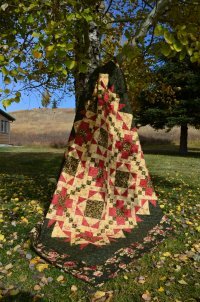 Price: $300.00 To inquire about purchasing quilt please contact at: wendy@sewuniquecustomquilting.com or 406-859-7858 /406-491-3308.